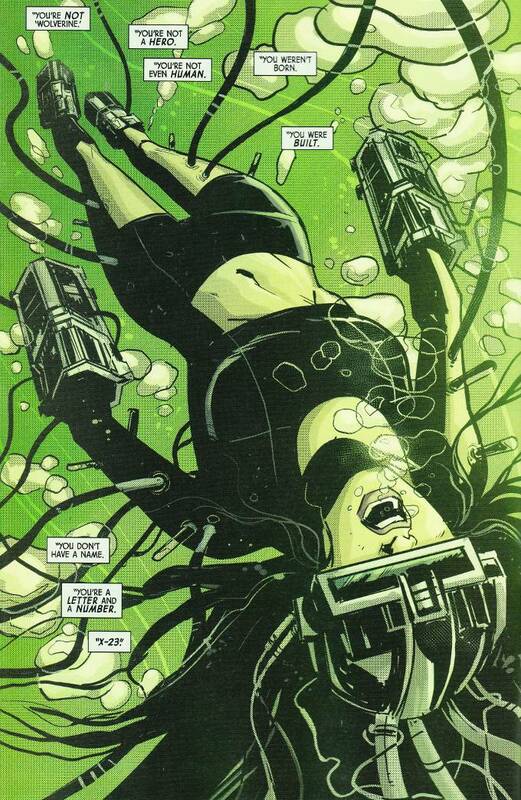 Intercepted by Bellona - another of Laura Kinney's clones, who lacks her healing factor but feels no pain - the all-new Wolverine is back in the clutches of the mad scientists who created her! Laura's only hope of rescue lies with Gabby - her adopted "sister". Even armed with no sense of pain and her own set of bone claws, can Gabby hope to save the day? All-New Wolverine #16 is an enjoyable action-packed issue. Tom Taylor does a fine job of explaining Laura's past as X-23 for newer readers who might not be familiar with that time of her life, not slowing the story down a moment while allowing for this exposition. The action sequences are illustrated amazingly by Nik Virella and finished well by Michael Garland.